This Sunday, The 5th annual Mid-Atlantic Awards Banquet will take place in West Philadelphia. 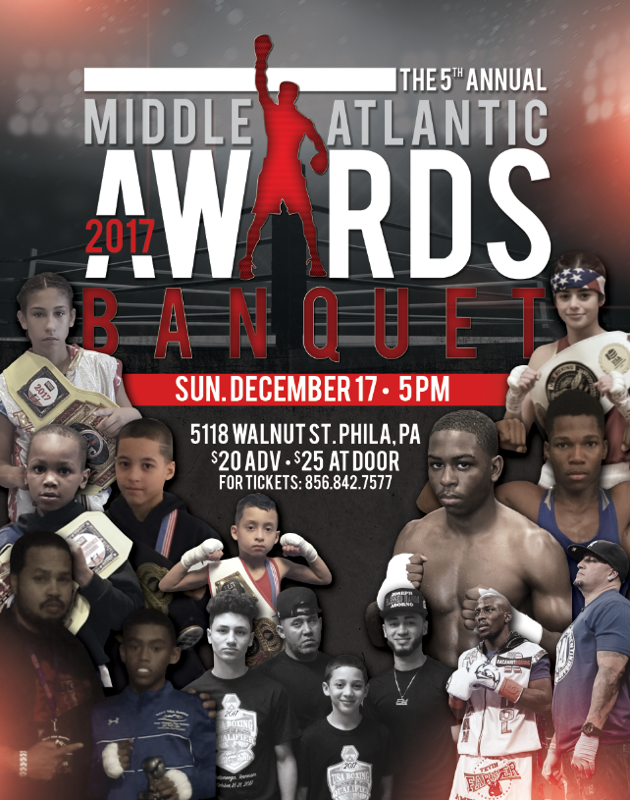 The event will feature and recognize the most prominent amateur boxers in the area, which constitutes Philadelphia, South Jersey and Delaware. The best amateurs in the area took home a staggering 47 national titles in 2017. Several professional boxers including Tevin Farmer and Stephen Fulton will be on hand as well. The banquet begins at 5 PM and will run until 7:30 at 5118 Walnut Street. The cost to attend is $20 in advance and $25 at the door. The price includes a four-course meal.